I am so honored to have Senior Scrappy to be part of my tarot project. Scrappy and his Cat Dad: David, have a great story. 11 years in, Scrappy began to slowly turn white. David and his family believe this pattern is due to a rare skin condition called Vitilago. 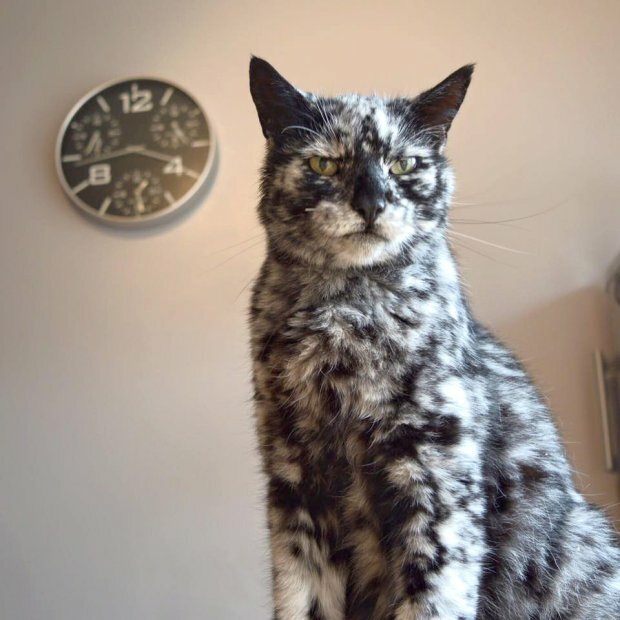 Scrappy was progressively turning white transforming his black fur into a gorgeous marbled pattern. Scrappy has since passed after living a nearly 20 years. David still keeps Scrappys social media going and raises money for a very important cause in England. York Rescue boat is a volunteer run program that patrols bodies of water during high risk times. David Scrappy has helped raise money for these boats in the past. David is also a key volunteer. I am very happy to help David raise money for the cause of his choice. 50% of Scrappys Print will go directly to York Rescue!